*Donna Brazile, a former adviser to President Bill Clinton and Al Gore, will fill in as interim chairwoman of the Democratic National Committee until Rep. Debbie Wasserman Schultz of Florida can be officially elected to the post. 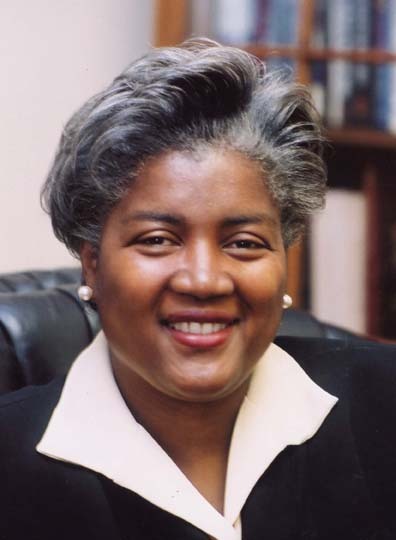 Brazile, the committee’s vice chairwoman and a CNN contributor, will take over for the next two weeks, filling the void left by Chairman Tim Kaine’s resignation Tuesday as he launches a Senate bid in Virginia, according to The Washington Post. Under party rules, an election for a new chairman must be held at least 15 days after a candidate is chosen. Since Wasserman Schultz was picked on April 5, the vote could happen on April 20 at the earliest. im thinking she should have had the job to begin with…..